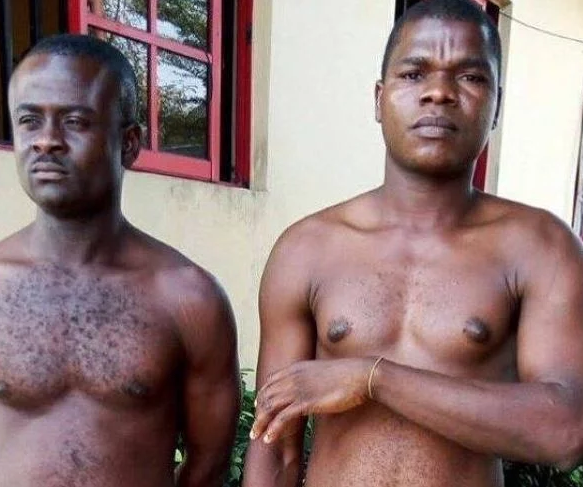 The Rivers police command has arrested two men parading themselves as officers of Federal Special Anti-Robbery Squad (F-SARS). Fake Commander Kenneth Obunwa, and fake officer Oluwagbenga Abe will soon appear in court. Obunwa hails from Rivers State, while Abe hails from Ijero-Ekiti in Ekiti State. The state Commander of SARS, Akin Fakorode, while parading suspects, said they were arrested after the command received a distress call around 7 a.m. on Tuesday. He said: “F-SARS received a distress call that Obunwa and Abe, who claimed to be operatives of F-SARS, accosted Pastor Finan and his younger brother and subjected them to thorough search in their compound at Igwuruta, with undisclosed sum of money extorted from them.